Experience level. Intermediate - due to the need of good air consumption to be able to visit the last part of this Cozumel Underwater Diving. This reef is named because it is just north of Palancar Gardens described on the Cozumel Reef Map. 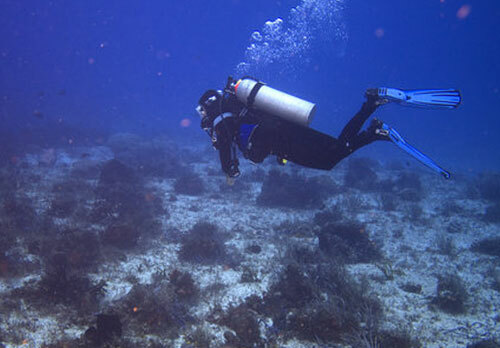 It is a shallow Cozumel Diving and is usually done as a second dive. This dive is seldom visited by dive boats. There are some long crossings with sandy areas and some low profile sponges. See image on the right. There is a nice reef head at the beginning of this Cozumel North of Palancarb Reef dive. It is about 20-30 tall. 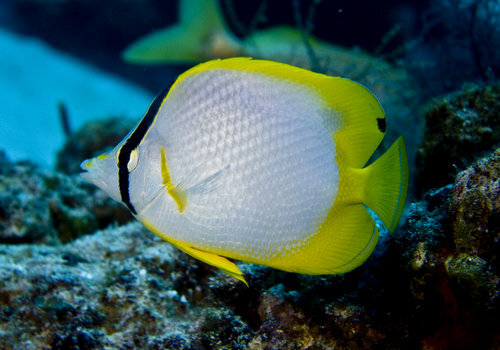 Typical life includes angelfish, Coney’s, and grunts. 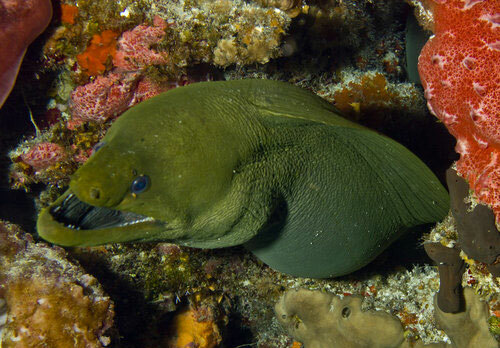 We spotted a nice moray eel under and overhang. 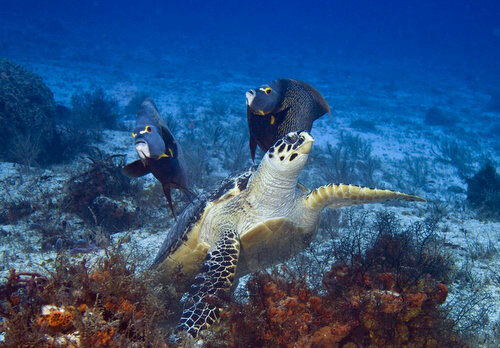 You might find a turtle out there that hasn't been seen by many divers. You'll make a 10 minute crossing over sand...stay at 40 feet or so so you don't waste air. Once across you'll come across some shorter reef heads that have a lot of schoolmasters and grunts. See image at the top of the page.